Urban vector image collection related to street art and underground culture. 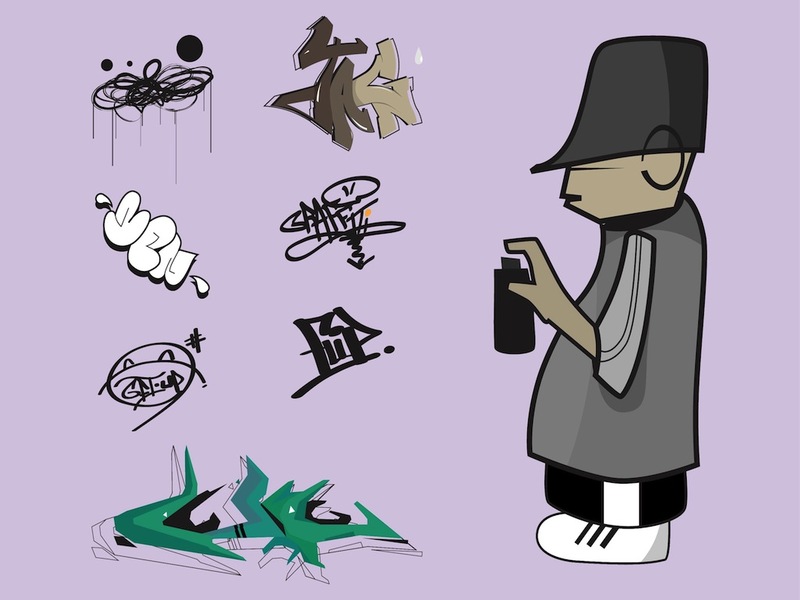 Young man with a big can of spray, graffiti illustrations, tags and paint drips. Cool abstract designs for your projects. Free vector illustrations for all stickers, decals, icons, T-shirt prints and logos. Various images for your street art and graffiti projects. Tags: B-Boy, Drips, Man, Paint, Spray, Street Art, Tags, Underground, Urban.